It's believed that the PayPal payment system is incredibly reliable and provides complete security to its users. Experts begrudge neither time nor energy for making the use of the PayPal system safe, and scammers know about it. They can try to misrepresent themselves as PayPal experts to win people's trust and gain access to their accounts. Fortuitously, there are several ways to make sure that you are dealing with genuine PayPal employees. Phishing and fake emails are sent in order to get secret data, account numbers of users or their passwords. In such letters, scammers use different deceptive methods, for example, a fake address of the sender. Often, in order to acquire personal information, the recipient is asked to reply to the letter, call on some number or follow a link. If you received a doubtful email, send it to [email protected] PayPal's anti-phishing experts will determine if it’s fake. If so, they will take measures to eliminate a scammer as soon as possible. By reporting PayPal scam emails, you help to protect not only yourself but all other users. Phishing is the most popular type of scam using PayPal. It’s an attempt to find out your personal data. Scammers misrepresent themselves as the employees of companies engaged in the legal activities to force you to output your sensitive personal data, such as card number, bank details, passwords for accounts or social insurance card number. One of the most popular methods of phishing is sending an e-mail supposedly from a famous company. Also, scammers can try to find out information personally, by phone, through malicious pop-ups and fabricated websites. 1. A fraudster sends emails under the guise of a famous company. In this case, scammers use a fictitious story, persuade you to call the specified phone number or follow a link. 2. A phishing message may contain a request to fill some form, follow a link or click the button that will lead you to a fabricated site. 3. Outwardly, such a site resembles the site of the real company mentioned in the e-mail. In reality, it's intended to obtain your personal data by fraud. In simple words, you think that you provide the personal data to a real company, but in fact, you tell it to a scammer. Remember that such suspicious emails often incline you to open a doubtful attachment or visit a site - all this can harm the work your computer with a malicious program. Often such links look like real ones, but following them can cause problems. Before opening such a link, check where it leads - aim a mouse cursor on it. If the URL looks suspicious, don’t follow this link. The real e-mail from PayPal never contains any attached files or programs. Attachments can hide malicious programs, so never open them, not being completely confident in the authenticity of the e-mail. "Due to suspicious activity, your PayPal account has been suspended. Call us immediately at 1-408-123-4567. We need to contact you urgently." By calling this number, you confirm that you have a PayPal account. You will be talking with a scammer who will try to find out information about this account in order to steal money. "I'm a representative of the PayPal payment system. Perhaps, some illegal actions were committed to your account. To receive transaction details, enter your PIN. You need to contact us immediately so that we can block this operation." If the user enters a PIN or password, scammers receive the necessary information to access his account. Never give any account information by phone provided that you yourself call the PayPal Support Team. It isn’t always possible to determine the authenticity of a website only by the type of pages since scammers can easily copy the contents of this website. To make sure that you are on the real website, you need to carefully examine its URL. There are several signs that the site really belongs to PayPal. The URL of the site should start with https: // (and not with http: //), and in the address bar of the browser, there should be a safe connection icon in the form of a green lock. Some scammers substitute the real address line of the browser for a fictitious one so that everything looks as if you are on a genuine website. However, even if the URL contains the word PayPal, such a site may not have anything to do with it. If the address looks too complicated, it’s possible that the site is fake. 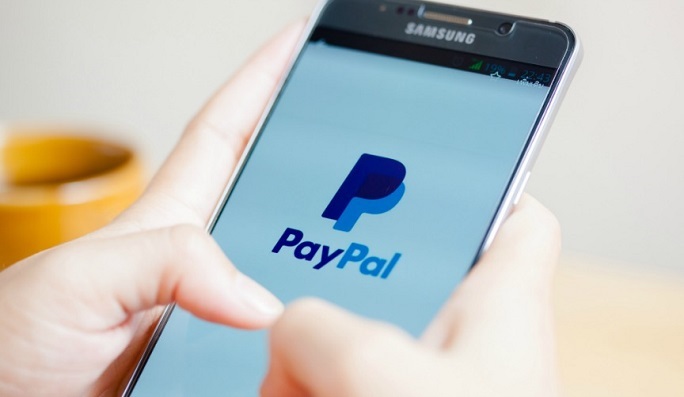 - The real PayPal URL starts with https://www.PayPal.com. Sometimes, instead of "www", there may be another combination of letters, but immediately after it there should be "PayPal.com"
1. Start the anti-virus scan of the system and check if it is infected with viruses. Ensure that the latest updates are installed for the system and antivirus software. 2. Immediately change the account password, PIN and security control questions. Follow these recommendations for PayPal accounts, mail and other Internet services. 3. If you find a suspicious link or website, inform PayPal about this. Copy the URL of this site into an email and send it to [email protected] With a help of your PayPal scam report, security experts will carefully study this site and if it really belongs to the scammers, they will achieve its blocking. PayPal scam reporting is very important, as you help to improve the work of PayPal and protect not only yourself but also other users. Take a look at craigslist PayPal scam to learn about the experience of other people in the work with the PayPal payment system. 4. In the next few weeks (or even months), carefully check your account statement for suspicious transactions.